I was spoiled rotten, at least food-wise, growing up on the Iowa farm. Much of the meat my Mother cooked was either raised on our farm (chickens, ducks, hogs) or purchased from local farmers or butchers (beef). We had a large chest freezer at the farm-house and it was always well stocked. My Mother probably had a year’s supply of meat, vegetables, fruit, home-made breads and cookies. She was ready, at a moment’s notice, to whip up a wonderful meal for friends and family that may drop by. Roast Beef was a staple at our house and usually prepared in a cast iron dutch oven. 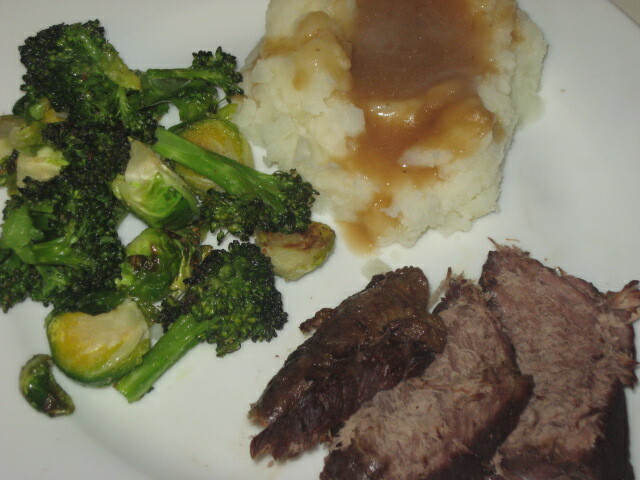 The beef was local and so flavorful and tender, always served with mashed potatoes and brown gravy (never from a can or box). This week, I was craving Roast Beef and was anxious to try a Chuck Roast I purchased from Two Mile Ranch Market, www.twomileranchmarket.com, at Orchard Road and University Blvd. in Greenwood Village. All of their beef is natural, Colorado raised and dry-aged. The beef lived up to my tough Iowa beef standards. It was so moist and tender, you could cut it with a fork. I’m anxious to try some other cuts soon! In a large skillet or dutch oven, add two tablespoons olive oil and brown a 3-4 pound roast on all sides until brown. Season with salt and pepper. Add 2 cups of water and reduce heat. Cover tightly and cook on low heat for 2 1/2 to 3 hours, until tender. Add water, as needed, to prevent the roast from sticking. When the roast is tender, remove to platter and cover to keep warm. In a covered container add about 1/4 cup flour and 3/4 cup water. Stir or shake until flour is dissolved. Pour the flour mixture into hot skillet with roast drippings. Quickly whisk to blend the drippings with the flour mixture. Cook until bubbling. Add water from boiled potatoes to thin the gravy (or tap water). 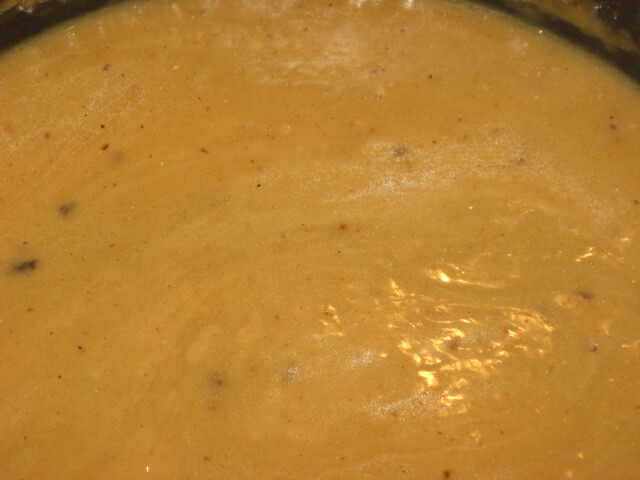 Simmer for 3-4 minutes, adding additional liquid as needed. Add salt and pepper to taste. Serve with mashed potatoes and a vegetable or your liking. So yummy…just like Mom (or Grandma) used to make!